An eczema elimination diet really isn’t as hard as it may seem and for many it provides a great sense of relief when food allergies or intolerances are discovered. In truth, it’s deciding to do the elimination diet for eczema and embracing your decision by fully planning and preparing for it, that’s the hardest. But it’s worth it! This is what I feel is truly the best type of “eczema diet” for everyone and is one I strongly recommend everyone tries in order to discover their own unique food triggers that may be causing eczema to flare. Why an Elimination Diet for Eczema? After years of worsening eczema and unsuccessful attempts with multiple doctors to identify the triggers, I finally realized I could no longer put off an eczema elimination diet for my son. It was time to figure out which foods were aggravating his eczema when allergy testing all came back negative. The best way to do that, according to many health professionals, in fact it’s considered the “gold standard” for food allergy diagnosis by many pediatricians, is by conducting a food challenge. A food challenge is when certain foods are consumed in small doses and then the individual is monitored very closely, in a physicians office is best, to determine if the food causes any reaction in the body. Food challenges are the only 100% accurate way to prove a food allergy exists, other than a history of reactions with specific foods. Allergy testing is not usually reliable as false positives and false negatives, like was the case with my son, can frequently occur. A variation of this you can do at home, under a physician’s supervision, is the elimination diet for eczema. You remove certain foods from your diet for a specific period of time, usually at least around one month, then you add them back in slowly over time to determine which foods are causing a reaction. While some foods, like the top food allergens, are often to blame, not all of them offend everyone’s skin and sometimes there are food triggers outside of the common allergens that must later be identified. But I call an elimination diet the ultimate “eczema diet” as it can uncover your own unique food triggers and help you find better skin and better health. One important thing to note with undergoing an eczema elimination diet is it is NOT a long term diet. The idea with an elimination diet for eczema is that it can help you to identify your food triggers so you can reduce your intake of that food, but not remove the food altogether. Removing the food altogether may cause more harm than good – lack of nutrients and possibly increasing your sensitivity to the food and in some cases maybe even developing a full blown allergy to the food, which we think MAY have happened to my son with dairy, but their is no way to prove it. So, once a food is identified as a trigger, the best thing to do is to speak with your physician and nutritionist to work out a plan on how to incorporate the food back into your diet on a rotational basis. In general, consuming a food that triggers eczema or other mild reactions, only once every four days is a good rule of thumb to allow the body a chance to heal in between and for the food not to build up in your system. So, don’t worry. Even if gluten or dairy or another of your favorite food is identified as a trigger, it doesn’t mean you can NEVER EVER have that food again. Now, let’s dig into the details. When I finally decided to move forward with my son’s elimination diet for eczema, the planning seemed very overwhelming. It’s best to work with a physician or nutritionist when planning the eczema elimination diet to ensure all the proper foods are eliminated correctly AND to guarantee you’re not putting your or your child’s health in jeopardy. Removing nutritious foods from the diet means they need to be substituted with equally nutritious alternatives and this can be tricky if you’re not very well versed in a healthy eating and nutrition. Not only is balancing nutrition hard, but it’s VERY difficult to remove staple foods from your diet. Many of the foods that should be eliminated have been in your or your child’s diet since not long after you took your first bites of food as a baby. Perhaps, your body has been used to these foods for so long, that slowly over time a reaction has been building up and taking form as eczema or asthma. You don’t always consciously think about these foods because they’re part of you. You’ve never had to think about it before. So eliminating these foods is like learning a whole new language. You must become a thorough label reader, understand the confusing and misleading world of “may contain traces of,” recognize alternative names for foods (and there are many), and learn to cook with substitute ingredients. Luckily, my mother-in-law is a super health food fanatic, so I relied much on her expertise when it was time to start our elimination diet for eczema. I also referenced Dealing with Food Allergies in Babies and Children. This is an EXCELLENT book that discusses food allergies in-depth and then offers detailed steps on how to conduct elimination diets for various ailments – one of which is eczema! Using Dr. Vickerstaff Joneja’s plan, made things much easier. Her book told me exactly what to eliminate and for how long. We followed her eczema elimination diet to the letter and it improved my son’s skin tremendously, within a matter of days. When it was time to add the eliminated foods back into his diet, by way of a food challenge, we immediately were able to identify which foods were triggering his eczema as he became very itchy after eating most of them, occasionally with hives. In some cases it took a few days of consuming the foods to see a reaction. In the end we identified the following as eczema triggers for my son: dairy, gluten, soy, and corn. We later also identified through trial and error that many tree nuts cause similar reactions for him. I’m happy to say that through an elimination diet, we saw major improvements in my son’s skin! This was one of the biggest wins in his battle against eczema. I cannot recommend elimination diets enough. Arm yourself with the right resources: physician, nutritionist, books, friends for moral support, etc. Have recipes ready to go and your pantry stocked. Plan on spending a few hours at the grocery store carefully reading labels and finding new food substitutes. TIP: I use RealPlans to help me plan out my meals for the entire week. What I love most is that it lets me filter recipes by ingredients and I can set known allergies and foods I’ve eliminated. And in the end it provides me with a shopping list – only one trip to the store each week – LOVE THAT! Go for it! If you feel the need to cheat, think about why you want to cheat. Is it because you’re craving one of your favorite boxed/processed chocolate chip cookies that are no longer ok to eat every day? Then make some using alternative ingredients. Trust me, the alternatives are actually really good! If you’re nursing, check out this post about an tips for a breastfeeding elimination diet. Once you identify your food triggers, eat them only once every four days or as recommended by your physician. And learn ALL the alternative names for these foods. Have you tried an elimination diet for eczema? Did you see results? This is a great article! I have so many friends that want to take the leap, but as I am sure you,can relate….taking that first step canbe very difficult and overwhelming. You have to embrace it 100%….half measures in most instances will simply not tell you what you need to know. I have a good friend who put it succinctly: is taking the leap really anymore difficult than your current existence of watching your child in constant discomfort, constantly beating your head against the wall wondering? Knowledge is power, and even though intimidating….discovering a new way to eat will often yield a healthier diet too, thanks for sharing! Ps, it was through elimination that we discovered my kids triggers….all the specialists and tests were inconclusive and grey….but elimination and challenge were crystal clear! Thank you Tessa, this is very very helpful! It’s important to remove triggers from toiletries too, not just the diet. I was very surprised how many soaps had food ingredients, especially soy! Thanks for this post and the list of bloggers! I have eczema and am currently on Day 10 of an elimination diet myself so this post gave me some encouragement. 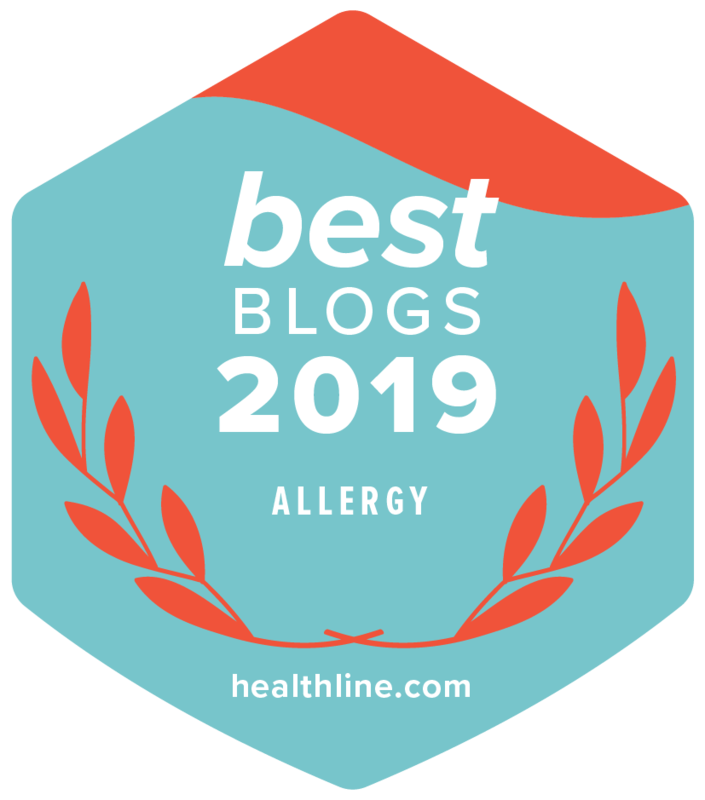 I gave up the Big Eight of allergens plus potatoes, tomatoes, carrot, celery, apple, banana, coffee, and chocolate and have made a few posts about my diet on my blog. I am starting to get discouraged as I haven’t really seen improvement and I am starting to wonder if maybe I am ‘intolerant’ to something else or if I made a mistake and accidentally ate a “forbidden” food that was hidden under another name, even though I have been diligent about reading labels and not eating out and making my own foods. How long did it take for your son to see improvement, and how long overall did the diet process last? Hi, this is topical steriod addiction… Please please go to this site https://www.itsan.org. You are suffering from ‘Red Skin Syndrome’ which is caused by overuse of topical steriod creams and therefore your skin has become addicted. This can be cured by a total cessation of steriod creams however the steriod withdrawal process is HELL. Please go to this site and join the forums where you will get insight information and support from others who are withdrawing. Oh the joy of elimination diets. We had to go through this for my oldest’s ADHD and youngest’s reflux while I was nursing him. It was such a pain but once we figured it all out the results where great. Hi – That’s great you figured it out! Curious – what were each of their triggers? Thanks for stopping by! Ha! Tell me about it – eating out is pretty much nonexistent these days and I spend hours each day in the kitchen cooking for scratch. Thank goodness I like to cook! The only thing I have tried eliminating from my daughter’s diet is Red Dye #40. I had mixed results but it did seem like it helped some. My biggest challenge was keeping others from feeding her something with the dye in it, as there are millions of products that contain it. Currently striving for less artificial dyes overall, less processed food, more whole foods. That’s a great approach as many UK studies show the negative affects of dyes on children. It’s pretty scary stuff! This was an interesting article. I am thankful that, while my oldest had a few spots of eczema here and there, it was not bad at all and easily soothed (but not cured) with creams. We never had to do any kind of medications or anything for it, and he grew out of it by the time he was 2 years old. Now my youngest is having issues digesting milk fats (not the same as lactose intolerance), and I am wondering if two of my older children have had the same issue. I am starting him on coconut milk to see if he does better on it. I was buying him non-homogenized whole milk, and he was doing a lot better – until the ONLY store that sold it stopped carrying it. I’m hoping he’ll be able to get the fats he needs from the coconut milk – it’s sad to see him slowly losing weight because he can’t absorb it from the cow’s milk. If he gains weight on the coconut milk, I think I will just switch the whole family over to it for drinking. Aside from the two littlest ones, we mainly use it for cereal, anyhow. By milk fats, you don’t mean casein, right? I think that’s a protein. Really interesting as I’m unfamiliar with the intolerance to milk fats. Have you tried goat and sheep’s milk to see if he reacts the same? What about cheese vs. milk vs. yogurt? All the same reactions? Fingers crossed for you on coconut milk – it’s really yummy stuff! It is definitely the fats. He cannot digest them properly, and it causes him extreme constipation and weight loss. I could tell he was losing body fat – his skin was starting to get baggy on the insides of his thighs. The doctor only put him on a laxative. I had a hard time with that, because that would only help with his constipation, and not the issue of fat absorption. I did a little digging, and found that people who have the problem can usually absorb the fat in non-homogenized milk, because the fat is not bound to the protein – that is what causes the problem, the two being bound together. When I switched him to the non-homogenized whole milk, he was doing a lot better. No constipation issues, and he filled out again. When I had to go down to 2% milk, he started getting scrawny again. I’m trying him with this coconut milk, with the hopes that he’ll get what he needs from it, but I’m also going to ask about raw milk at the local Amish store. Hopefully, I’ll be able to find someone to sell me some if the coconut milk doesn’t work out. Have you thought about raw milk? Not sure how you feel about it – but I’m sure you can find a local farm that could supply you with some. Check out Westin A. Price foundation for more information. 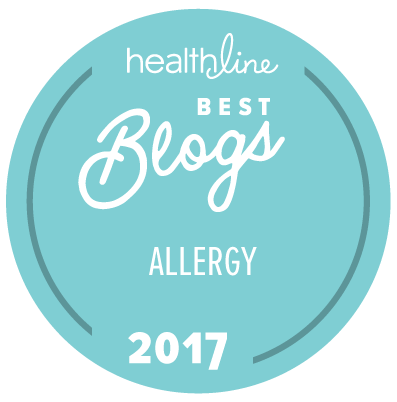 I tried it once, because we wanted to see if my dairy allergic child could tolerate it – he couldn’t, but it was the BEST tasting milk I’ve ever had. I don’t know where you live, but Organic Valley has non-homogenized organic milk and you can find it at Whole Foods and probably other stores. I love that you were brave enough to do elimination. I actually have an friend that admitted her son’s eczema was due to a food allergy but there was “no way she was spending all that time looking for the source” and on steriods he went. My daughter started having issues when she was four, lots of stomach pains. When she lost two pounds (went from 22 pounds to 20-already VERY little) in a matter of a few months, I had to do something. We went off dairy and gluten, and found very quickly it was gluten. I actually did this when she was two when my momma instinct kicked in that something wasn’t right-it’s amazing how many people will make you feel it’s all in your head, or that you are just doing one of those health kicks. We don’t do much dairy, but she is SO much better without any gluten. Thank you – I didn’t feel brave at the time – I felt overwhelmed 🙂 But after having completed the diet and having found my son’s eczema triggers – I feel elated and so grateful. Good for you for working out your daughter’s triggers. It’s certainly not the easy path, but it’s so worth it! I agree that elimination diets are not impossible. I have removed dairy, soy, corn, sugar, gluten, eggs and peanuts from my diet. I will testing each food to see which I have the reactions with. It is amazing how much better I feel with the foods removed. I don’t think that most people realize that they may have minor intolerances to many foods. Definitely not impossible, but certainly a challenge – if they weren’t, I have a feeling most the population would try them to uncover the root of various illnesses and ailments – don’t you agree? So happy the diet helped you! Jennifer, this is so informative! While no one in my immediate family has eczema, my brother-in-law, niece and nephew all have it. I am going to pass this article to my sister. Hi Kelli – Thanks so much! I’m glad you found it interesting. I hope it can help provide some relief to your brother-in-law and his family! This is so interesting. My husband suffers from eczema, I wonder if he would benefit from an elimination diet. It seems like we’re always chasing our tails on this one! Hi Emily – Thanks for your comment! Yes, it’s quite possible food could be triggering his eczema. Would he be willing to give up gluten, dairy, soy, and a few other foods to see if it makes a difference in his skin? Elimination always sounds overwhelming so I’m glad you broke it down to something manageable. If we ever need to do an elimination, I am confident now that we could do it with a little planning and knowledge. Hi Angi – I’m glad I could help! Thank you for stopping by! We pretty much avoid Red #40, though it sneeks in occasionally. You have some great information in your post for people considering an elimination diet. Done properly it is “the gold standard.” Thanks! Yes, definitely the gold standard – I just wish more physicians were eager to suggest it to parents and patients. I feel that the days of the food challenge are so far behind us. Red #40 is a great food item to avoid – lots of behavior modification is associated with it, as I’m sure you’re aware. Thanks for your comment! Oh yes, the organic switch. We did that too, in order to help my son’s eczema – it’s funny because I wrote a post about that very topic. https://itchylittleworld.com/2012/04/04/how-eczema-led-our-family-down-a-more-natural-organic-path/ Going organic is expensive, but very helpful in avoiding many harmful pesticides. Did you see that the AAP has finally acknowledged that it’s not healthy for children to be exposed to pesticides? I think that acknowledgement is way over due. Don’t you? My three year old has severe eczema and is allergic to eggs, nuts, soy, and dairy. It is really hard to find foods that fit with her diet. So, I will be checking out some of the books mentioned here and adding you to my Google Reader. I am so glad that I came across your blog, really made me feel like I was not alone in this battle of … itchy skin. Hi Sheree – I’m so happy you stopped by! Many thanks to Blogelina for connecting us 🙂 I hope some of the books are helpful for you. Please let me know if I can ever help in any way. Thanks for your comment! We don’t suffer from eczema, but I had no idea it could be caused by foods like that! I do want to start eliminating things from our diets though…get less processed and more natural/whole foods! Yes, that’s a great way to think. The more processed the more room for unnecessary additives, preservatives, dyes, and things like GMOs. Thanks so much for stopping by! After I lost over 25 pounds through Weight Watchers and got lifetime membership, I still felt horrible. I’d already been reading on how a gluten free diet might help w/different things like exzema and autism. But I had NO IDEA that it could affect SO MUCH. After taking gluten out of our diet, my oldest and youngest and I see TONS of improvement. Even in moods and memory! But I still think that there might be more… Looking at maybe soy. Or at least conventionally grown soy…. Hi – Yes, soy can be really hard on the body as can dairy, not sure if you consume a lot of dairy or not. For reasons you stated, my husband and I did another elimination diet. This one – https://itchylittleworld.com/2012/05/28/elimination-detox-diet-getting-started/. It really helped me figure out that certain foods make me itchy, sugar gives me headaches, gluten makes me sleepy, and soy/mushrooms/yeast/anything moldy like cheese/fermented foods make me very bloated and I cannot digest them well. To say the least, the diet was a real eye opener. Congrats on your amazing weight loss! I encourage you to heal your body by determining what foods are aggravating your digestion. Think about how much better you can feel. Good luck! Thanks for stopping by. Have you tried an elimination diet? Did you see results? I have never tried an elimination diet. I have thought of it because I have itchy skin, mostly at night. I believe it’s caused by stress. Reading your post is having me thinking again about an elimination diet. I haven’t proven it’s stress, but I could prove it is (or is not) food related if I did do an elimination diet. Wow love this article and I’m going to be forwarding to my close friend who has a daughter that suffers from eczema. She is in her teens now but I’m sure this would help. What a great job doing this and the commitment it takes. Thanks for all the other websites and information you provided. Hi Pam – Thank you so much for the kind words. I’ve been through so many hard times with eczema, so now that we’re through the worst part, I just want to help others see some eczema relief as well. I hope your friend is able to find some answers for her daughter. Thank you for stopping by. I had to go on an elimination diet when I was diagnosed with chronic fatigue syndrome many years ago. It seems like my food tolerances have chaanged over the year. Thanks for sharing! Thanks for the comment Tanya – did you figure out your new intolerances? What was causing your fatigue? Great post, lots of info here! I’ve considered doing an elimination diet, but not for any specific reactions – just to see if it would HELP. We deal with high functioning autism and some of its cousins, so there’s just too broad of a scope here to pick something to test for – at least, in my mind. Looks like you found some major ones – going GF is a big deal change! Kudos to you! If you’re considering doing an elimination diet for general health, take a look at this one by Whole Life Nutrition. It’s the my husband and I did and it really helped us see little food intolerances we had that altered our bodies an health in various ways. My daughter is 12 (almost 13) and has had eczema all her life. Every doctor had a different opinion. Some said she was outgrowing her allergies, etc. but my “mom instinct” told me different. I felt like something was still wrong with this child. My answer came when I met another mom with a little girl that had eczema 10x worse than my child. At first I thought she was really crazy…telling me it was gut issue…blah, blah. But then she discovered LDA (low dose antigen) and I started to listen. We went to a DO allergist that found my daughter allergic to 14 foods, maybe more. And she has been on elimination/rotation diets and candida, too, since August 2012 and what a tremendous eye opener it has been! After the 30 day elimination diet…she was like a NEW child! Her skin cleared and her eyes and mind really opened it. She was pleasant, cooperative. And like others have said…once you started ADDING foods back in…you really noticed the difference! Eggs and beef make her itchy almost instantly. Other foods make her uncooperative and crabby as can be. It is really amazing. We are now doing the LDA treatment for her because we felt that it would be impossible for a young person to avoid 14 foods and many of them big ones. How long should it take to kick in? We just started the elimination diet for my son who is 13 months. He has the worst excema i have ever seen, open soars, blood, itchy as can be… the whole nine yards. We started it 1 week ago and although it seems to be calming on parts of his body, it seems worse on his face and he seems to be so much itchier. He is on a soy, egg, dairy, nut, glutton, wheat free diet. Please let me know your thoughts, this has been so hard. Hi Neisha – For us it only took a couple of days to see results once we eliminated the right combination of foods and removed his other triggers – laundry detergent (switched to soap nuts) and cut out acidic foods like tomatoes and oranges, etc. Are you working with a nutritionist or allergist that could help you through this? I’d give it two weeks (although one month is better) and then start to add the foods back in. It’s possible some of those foods are triggers, some are not, and there are some you have yet to eliminate. You chose the correct foods to eliminate to start, but if nuts are an allergy, then it’s possible other legumes are too – like beans and peas for example. Please don’t get discouraged – you are doing the best thing for your child and you WILL figure it all out. And I’m sure you’ve done this, but have you verfied the food you are serving is free of all traces or possible contamination of the foods you’re eliminating? I found that to be the hardest part. Also, have you considered supplementing with fish oil (with certified low mercury levels) and probiotics (vegan and soy free)? His flare ups right now could be because he’s pushing out the toxins from his body OR it could be because he’s eating more of something he’s allergic to as a replacement for something you’ve eliminated. For example, you removed all gluten, so maybe he’s eating more rice or oats (make sure they are gluten free). Hugs! You’ll get through this. Try Natralia cream for open sores, it dries them but then you need to put a good moisturizer on baby’s skin. It’s not the perfect solution, but at least you won’t have open sores. How can one do an elimination diet if one is still breastfeeding? Since the effects of certain foods can appear days after you eat them, how can you find out which food was the trigger? My baby got eczema on his face when he was 4 weeks old and it lasted for about a month. I was besides myself since I had no idea that babies can be affected by eczema. Being desperate, and not knowing what to do, I used on his face the Earth Mama Baby Angel diaper balm and i saw an immediate change for the better. I also used Calendula Cream by California Baby (even though they changed their formula last year and I didn’t know it) and within a month his face was clear and stays clear. His body, however it’s another story. He had just a patch of eczema on his legs, didn’t bother him and he didn’t scratch until I started feeding him yogurt around 6 1/2 months. Mind you, this was organic yogurt as I refuse to give him anything that it’s questionable, full of GMOs, pesticides, or growth hormones. Once I started giving him the yogurt, within a week, the eczema exploded on his tummy and on his legs, later on his back and arms, and then the itching started. I stopped the yogurt and I started giving him probiotics as our holistic doctor recommended to heal his gut since she said that it might be the problem. I also started taking probiotics and now it’s been 3 months. I used any cream imaginable, some worked some didn’t. I used and still do the Baby Balm by Badger, very good, also Body Butta by Bubble and Bee Organics. When his skin got inflamed and red, I used Natralia, it does wonders especially if the skin is oozing. This cream dries the skin and calms the redness, but then you need to put some good moisturizer as Body Butta on it. Since I am still breastfeeding him, I stopped all dairy for about a month or so, but it didn’t seem to make much of a difference. I’d like to do an elimination diet to see what kind of foods could be potential triggers but honestly I don’t know where to start just because of the fact that effects of a certain food can appear days and days later. For all you people struggling with an elimination diet, it can be daunting but totally worth while. I took my 1 year old son to a naturopath and when I walked out I was stunned…what the hell am I going to feed my child. For 6 weeks he couldn’t have dairy, soy, gluten, rice, potatoes, corn oil or products of any kind, bananas, avocado, strawberries, walnuts, peanuts, potatoes, sugar of any variety, beef, pork, eggs, fish, seafood, turkey…there’s probably more but I can’t remember off hand now, that was a year ago. He hasn’t had an ear infection since (he had 8 in 4 months), he has totally got rid of his candida, he doesn’t have eczema at all anymore, his behaviour is 100% calmer, he sleeps through the night, his poop doesn’t burn his bottom. It’s crazy how badly food can affect someone, but at least he can eat grass fed beef, any pork, any turkey, strawberries, rice and bananas now. Gluten is a whopping big no for my son, it doesn’t cause him eczema anymore but his behaviour and sleep pattern is horrific. He still doesn’t eat dairy in general but can eat grass fed butter and mature cheddar with no eczema. Sites like these are your best friend with support and in experimenting with cooking, it really isn’t that hard…once you see all their symptoms disappear it is such an amazing feeling. Reading this post for encouragement tonight … my 8 mo old son is exclusively breast-fed right now and I’ve been on an elimination diet for him since April 1. He has challenge-tested allergic to eggs, dairy, cocoa, tree nuts, coconut, fish and sesame seeds. Tomatoes and soda increase his eczema as well. I am intolerant to wheat, gluten, oat and corn. Feeling totally over this situation!! He and I had whooping cough when he was 3 weeks old – I think it lowered his immune system. It’s been hard to keep up the diet! I will check out a couple of the spots mentioned above. Great blog. Learning a lot from you. I’ve 8 month old baby with pretty bad eczema. Right now her neck weeps badly and one arm is dry and scaly and knees have some weepy spots. Back of knees have dark patches. I am breastfeeding and supplementing with soy. Looking to stop soon as it’s getting difficult to find time during work to pump. Just wondering if you put your son on soy formula? Your story with steroids sound familiar. We’ve largely gone off it and are managing with herbal creams. Very interested in the homeopathic and tcm cream and will put in order soon. Please tell me you deliver to Singapore. Thank you. Hi there – I’m sorry to hear your little one is suffering right now. We do ship to Singapore, although it seems to take quite a while for orders to be received over there. I’m not sure why. I think the Calendulis Cream and EczeHerbal balms are great places to start – fingers crossed you find one that works really well for your child. Regarding soy formula, personally, I don’t recommend it at all as almost all conventional soy is genetically modified and honestly, dangerous for anyone, especially children. GMO free soy formula would be an option, but there are several countries that have banned soy formula, I believe New Zealand is one of them, based of the abundance of hormones found naturally in soy. For most adults who consume soy here and there it’s not a big deal, but for children consuming soy formula or milk frequently, there are some that think it’s harmful. But that’s debatable and something you shoudl research yourself to see how you feel about it. Formula is hard because there are not a lot of great products out there – most are loaded with either corn or soy derivatives that contain genetically modified ingredients and then they add quite a lot of sugar. I would highly recommend meeting with a holistic nutritionist or naturopath about your concerns for finding a healthy, nourishing formula for your child. So happy that you found the root cause of your son’s eczema. Your son is lucky to have a mother who wouldn’t give up on solving the problem. I’m on the hunt for my own root cause after 20 years of living with eczema. This year I had enough and started an elimination diet 3 weeks ago, which led me to your blog as I’m searching for how to do this properly. Yes, crazy to start it during the holiday season, but it’s been easier than I thought. My skin has improved dramatically, which feels like a miracle! But it’s not completely cleared up. Would it be OK to reintroduce foods now or should I wait for my skin to be completely clear? How long can that take? I have given up wheat, dairy, soy, corn, eggs, night shades, peanuts, and citrus. I am pescetarian, so I did not give up fish (which I eat only occasionally anyway), legumes, or tree nuts. Should I consider giving these up too if my skin doesn’t completely clear? My doctor said that she’d be happy to do an IgG food sensitivity panel after the elimination diet to see if that reveals anything. I’d be grateful for your advice. Thanks! Hi Wendi – Good for you! You’ll start the new year with a better understanding of your skin and the triggers involved. That’s great! After 20 years, I’m sure you must feel so much relief to find some answers. I’m certainly not a doctor, but what I’d do is try to add each food in over a four day period to see if you have any flare ups. If not, then it’s probably safe to keep that food item in your diet. Once you’ve added or or tried to add all the removed foods back into your diet, then see how you’re doing. If things still aren’t perfect. You could certainly try removing legumes and tree nuts and see how it goes. Unfortunately there is no one exact correct way to do an elimination diet. You just have to try and see how it goes. If one way doesn’t work, try another. And remember, while food is often one part of the puzzle, it is usually not the only answer. Make sure you look at your household cleaning products and laundry are products – go as natural as possible there too. And look at environmental and seasonal triggers as well. Good luck! Thanks for your advice, Jennifer! That is reassuring there is “no one exact correct way to do an elimination diet” because I’m winging this. Good point about environmental triggers… I make my own natural cleaning products and used green products for years before that. It’s something that folks need to remember, though—it’s not just what you put in your body, but also on your body that can contribute to eczema. I should mention, that I had been experiencing some joint pain in my hands that has also disappeared! It’s so exciting to be at this point! Best wishes for a happy 2014. That is exciting! Congrats! To improved health in 2014! One quick follow up question about reintroducing foods… As I add foods back, like night shades for example, can I add all night shades during the 4-day period, or should I add potatoes for 4 days, then peppers for 4 days, and so on? Thanks! I would play it safe and reintroduce each separately. Just to be on the safe side. I have a three month old who broke out about a week and a half ago with terrible eczema all over his face and body. It is weeping, open sores. It was infected and we put on antibiotics to stop the infection. As I am breastfeeding, I immediately began an elimination diet. I am not eating all grains (incl oats as I have other children allergic to oats), dairy, eggs, soy, nuts – but my baby is not showing any signs of improvement. How long until an improvement should be noticed? Also there are so many recommended creams on this site. Can you please tell me what is best to use as a good moisturizer and for the weeping eczema? hi! I’m so glad I came across your website… Do you have any sample meal plans available or a post where you elaborate on what you have your baby for breakfast, lunch, dinner and snacks? I want to started on this immediately to hopefully change my daughters eczema condition! Thanks! Hi Kristin – The Whole Life Nutrition cookbook does have an elimination diet section and there are recipes, but no meal plan. If you’re interested in doing GAPS Intro diet for the elimination diet, this ebook is great and has plenty of meal plans. I’d recommend it! It’s what we used. I just need to say thank you so much for this post, primarily because it led me to the book by Joneja. We’ve spent the last 2 months following the elimination diet to the letter and we did our first challenge yesterday with a DEFINITE reaction. I can’t believe it – a textbook case. It was so helpful to use Joneja’s book with this. Wow, that’s exciting to see such improvement already. Fingers crossed for you! I have been doing the Dr. Sears total elimination diet for two weeks now to try to help my baby daughter’s eczema. She has had absolutely no improvement. I have eaten NOTHING but turkey, rice, yellow squash, zucchini, potatoes, sweet potatoes, pears, safflower/sunflower/canola oil, and salt and pepper. I know it can take awhile for things to clear up, but I was expecting to see some improvement after two weeks, even a little. It’s getting harder for me to stick with this with no results. I’m wondering if her eczema isn’t food-related. Or I’m wondering if maybe she has a rare sensitivity to potatoes or one of the other things I’m eating, but I don’t see how I can cut anything else out. I feel like I don’t know what to do from here. Wouldn’t you expect to see a little improvement at this point? I am Incredibly stuck between a rock and a wall. I have removed Wheat-Soy-Dairy-Eggs-Nuts-Shellfish-Corn-Citrus- and even easier grains like rice or quinoa. Adriana, I am in the same boat here. I have a 6 mo old and we have been dealing with eczema(on body but predominantly on the face) since 4 or 5 weeks old… We are still exclusively breastfeeding as I am afraid to introduce him to food due to all the reactions to what I am eating. I know it’s so frustrating and heartbreaking. You need to be aware of anything being a trigger. I am doing the same gut healing supplements as u, but I found that my son is sensitive to the probiotics right now…took them out for a few days ..he calmed down..added them back in and he got inflamed again..stopped again…drank kombucha without thinking and we had a flare up again! I am definitely going to be doing an elimination diet to help us. I have been able to get a handle on things then something changes and I have to figure out the trigger. I am really sorry u have to deal with this. Prayers to all of us parents having to go through this..
We found a “revolutionary” (I know that’s a bold word..but there’s just no other word to describe this tx) treatment to Desensitize your body to allergens. Whether its food. ..chemical or enviormentally related. The drawback is you have to treat one allergen at a time so its not the fastest tx but my son has only had two treatments.. the MD (note she practices eastern medicine..natural holistic etc) said my son had a infection… and allergies. So first appt we treated infection second appt we treated for egg. She said that one is a big one for skin sufferers ..well I’m happy to say two days after that leg rashes have DISSAPEARED. Face is visually peeling at the moment and revealing healthier skin. This was a last resort but it should have been my first. None the less I trulybelieve without a shadow of a doubt God led me to this tx that not only can help.my baby but my 5 yr old too. I’m reading the book say goodbye to illness by dr devi. She is the founder of this tx. If eliminatoon diets didn’t do it for you or maybe u just want ur kid to enjoy what they r have been avoiding… do this I’m serious!!!!!!!!!!! Frm a once desperate mom… and don’t go to just anyone who claims to practice this tx go to the best most advanced. I drive over 3hrs to get to ours even tho we have one closer. I want the best. She even has a youtube video of this kid whom the dr declared was the most allergic in all the world… it was her pt but similar infants and toddlers elsewhere get the same exact tx!!! Maybe u have one close to u. Ok I’m gna stop now cuz I’m starting to sound infomercially.. or sponsored lol. Not either of those fyi!. Our md is maryln chernoff youtube her videos and she practices NAET. Sounded a bit hippiesh to me but I’m a sucker for anatomy and biology and when I read the book I realized there was nothing hippiesh about it.. its all measured down to a science… I’m so excited I can’t sleep just seeing my babys face finally start to heal. We can finally do tummytime and move on with our lives. GOD IS GOOD! ! We r on a cancellation list to finish his tx but they start off by strengething immune system by testing allergies to basically elemental nutrients proteins and vitamins. Who knew one could be allergic to the good stuff? ? But a weakened immune system is overworked and tired and just doesnt see the difference. Anyway I’d have to write a whole book to explain the tx so if u moms wanna go search maryln chernoff on youtube or go to naet.com and look for practicioners for ur area. Happy healing Mommies!!! Adriana – that’s fantastic! We did try NAET with my son for six months without any results, but I’m glad it worked for you. I think it’s like everything else, it may work for some and not for others. I’ve been very frustrated with my own health and after trying just about everything else, I’m trying NEAT for myself with a different practitioner. Last night was my first treatment for BBF and Calcium, so we’ll see. I’m hopeful as I always am when trying out a new treatment. I just hope I won’t be disappointed again. Thanks for the wonderful update on your end! How hard! I would consider looking into someone who might test for heavy metals and also look into overgrowth of fungus (look at doug Kauffman, know the cause) , and also he could have a histamine intolerance and could be flaring up because of that…. -How long does it usually take to see results from eliminating the various allergens? -How long does it usually take to see results from eliminating sensitivity-triggers such as sulfites? Do you have any experience with sulfites? -What are some good probiotics I could get locally at a coop this weekend to start trying? My husband and I have eaten *fairly* well (>80% organic foods, grass-fed local pastured etc. meats straight from the farmer, cooking mostly at home and rarely eating out, very little sugar in our diets) since before I got pregnant, so how likely is it that my gut is the problem? -What are the chances of him still reacting to something minute, like a tiny bit of soy lecithin in three little squares of dark chocolate I eat every so often??? I barely eat soy, but occasionally it’s in something as an emulsifier. I have so many more questions but I need to stop there. Any help would be greatly appreciated. My mother in law just found out she has histamine intolerance so I get to think about that as well. I don’t suppose you know anything about that condition? I have no idea if it’s genetic or individual, or if it appears in babies, but I’m guessing it probably does. A fair number of the foods on that list seem to crossover with the high sulfite foods (mainly wine and processed foods, which I’ve eliminated) so it may be a hard road figuring out what the actual issue is. It sounds like you are really heading down the right path and will find your answers soon. I don’t know much about histamine or sulphate sensitivities other than to know they do aggravate eczema and other health conditions. Best of luck and please keep us posted on your progress! Does sugar include raw local honey? Natural sugars should be in moderation. I’ve been doing an elimination diet for my toddler for about 2 months already – gluten, dairy, sugar, corn, soy. He is still itching every night! You mentioned in your article that when you added food back in, you could identify the food triggers because your son would be itchy. Does that mean that before you added food back in he was more or less alright and not itchy anymore – which allowed you to identify the food triggers when he started scratching again? HI Ding – Yes. We removed a select group of foods and he was doing really well and his skin was recovering. I then added each of the removed foods back in separately over a four day period and watched for reactions. Hi Jennifer, do you remember how long it took for the skin to recover after you eliminated the group of foods? Hi Ding – Sure, after we found the right combination of foods, my son healed up in a matter of days by about 95%. i have so much to share, but not enough time yet to write it all out. we have had a rough journey so far with my almost 2 yr old who has been battling eczema, food allergies and chemical sensitivities. he is so much better than he was a year ago, BUT hes not completely healed yet. we are doing homeopathy. i am not sure if many of you know that “live” vaccine viruses such as the mmr or mmrv can “shed”. you can verify that by looking it up on the web. my son was 2 months old and he was exposed to the “live” mmrv virus after he came in close contact with a child who was recently vaccinated. we didnt know what happened til months later. i was not familiar with this. the more i researched, the more i understood what happened and it all made perfect sense. his rash started on his face first, then spread to his arms and legs and then got worse and worse. it looked like measles and the chicken pox. our journey seemed so bizarre, but now i know in my heart that there are babies/toddlers just like him battling this horrible ITCH (and sensitivities) because parents are not being informed about the adverse effects of vaccines. if you are interested in my experience, i would be happy to share. My 8 month old son has severe eczema that we have been since about 2 months battling he used to drink email formula then hypoallergenic formula an now to goats milk an I do sample cider vinegar 1/4 cup in bath an I put our aloe vera on the patches he has on his face elbows. Dr just prescribe steroids creams. He has started solid foods since 6, months old but just fruits veggies an oatmeal. I’m not sure what next step to take but his flare up is really bad this time. All his spots ooze an are itchy an red am raised. I have been told by a few people they thing I should stop the goats milk am do an alternative for milk, but what could that be? Coconut milk, almond milk??? Help please. Are you still nursing? If so, that should be enough milk I would think. Best to meet with a holistic nutritionist to be sure. hey just wondering if you recommend a certain holistic nutrionist? that is my fear with elminating food, that my two year old daughter and i (as i still breastfeed) are not getting the nutrients we need. we did an intolerance prick test and soy, egg whites, grapes, nuts, soy, oats, and rice came back as well as a known dairy allergy (hives, mucus in stools, eczema flares). we’ve ruled these things out and i feel too scared to eat anything now, i know my nutrition is suffering. we really haven’t seen good results either. my daughter takes fish oil and an allergen free probiotic but still has terrible eczema, scratches all night, and causes bleeding from such aggressive scratching if i dont apply her ointment quickly enough or distract her in time. i know there are still environmental factors that are causing her flare ups but they are beyond my control. i feel like she needs a bubble! by the way i’m really happy your family is healing. HI Allie – We really like Dr. Amy Duong, who has written several guest posts for us. She’s a naturopath, but she could help you with diet and a global approach to eczema. I’d recommend reaching out to her for a free initial consult. I’ve been on the diet for 2 months, i feel healthier, and its motivating me to be a healthier person and I do have some cheat days but my eczema isn’t going away…I went on the diet to get rid of my eczema and to get rid of my allergies. That’s so great to hear that you feel better. But interesting that your eczema isn’t healing. It’s possible you have additional food issues that need to be addressed or perhaps it’s due to stress or a leaky gut or contact with a harsh cleaning product. There are a lot of other possibilities that you can look into. It was a dust mite allergy that was doing it for my daughter. We tried everything, creams, lotions, diets, supplements, homeopathy. Now she has hypoallergenic covers on her bed, we clean the carpet in her room regularly and do what we can to keep the dust mites down. Get yourself tested. Those old fashioned scratch tests aren’t fun but you might learn something that surprises you. Janes eczema isn’t entirely gone but it is much much better. I’m so glad you found the answer for your daughter. What a relief that must have been for you! We fought eczema on my son’s skin for years. Hands, arms, knees, legs, ankles. Always the same story for doctors, “no one knows why some people get eczema, he might outgrow it, in the meantime just use stronger and stronger steroids.” We had allergy testing done – nothing showed up. I had randomly tried eliminating gluten for a month one time, dairy for a few weeks another. I saw no correlation between what he ate and when his skin flared. When the eczema started appearing all over his face (and getting worse everywhere else) I was ready to do ANYTHING. That’s when I read a guest blog by Dr. Amy Duong – https://www.naturalskindr.com – on this website and gave her a call. After our first phone conversation she said, “It’s food.” I told her it wasn’t! She repeated, “It’s food and you have to do an elimination diet.” I don’t think I could have done it on my own. But once you’re committed and have some guidance, it really is do-able. In addition to the elimination diet, I agreed to use two natural supplements she prescribed to clean out his GI tract and flush out his liver. And the outcome? My son is clearly sensitive to corn, dairy, and gluten!!! Six months later he has beautiful, clear, healthy and eczema free skin. The lesson learned – you can’t eliminate one thing here or there. You have to get down to “ground zero,” be completely clearn, and THEN add stuff back in to see what the triggers are. I feel like it’s nothing short of miraculous – the change in my son’s skin is that dramatic. Since then, I’ve also discovered he is sensitive to tapioca flour & starch (something that’s used in a LOT of processed GF foods). Again, I would have never know that if we hadn’t have cleaned up his diet. At 10 years old my son will make the choice for HIMSELF – “I don’t want to that piece of birthday cake even if it is a special occasion because I know what it will do to my skin and it doesn’t feel good.” I should also add that when I’ve tried to share this success story with his pediatrician and allergist their eyes glaze over – they have no interest in hearing about my “crazy” food sensitivity theories. You really do have to be your child’s advocate and pursue knowledge and resources to figure it out on your own. Your post sounds so much like my own experience! Our doctors make me feel crazy when I try to express that I think my son (13 months old) must has a sensitivity to some food that is causing his eczema to flare. This has been a struggle ever since he came off an exclusive breastfed diet around 7 months. We also tried putting him on a probiotic which seemed to help at first but the eczema didn’t stay away for long at all. How did you know where to start in regards as to what all to eliminate from the diet? We live in a small town with limited access to certain healthy foods ( we have one very tiny health food store) . As he had allergy testing done ( with all results negative ) I’m feeling so overwhelmed as to where to start and what to eliminate. I am starting an elimination diet for my 10 month old son. He is still primarily on formula (currently Alimentum RTF but we are switching to Holle Goat’s Milk Formula as part of this elimination), but has been eating a variety of solid foods since about 6-7 months. He is starting to do some finger foods off his tray, but mostly still eating pureed food that gets fed to him. I know I need to get him on more finger foods, but think with the diet change, changing the method of eating will be too much at once. Does anyone have experience doing this for an infant and have any meal plans or recipe ideas? Thanks so much!! Hi Katie – I really love the Real Plans meal planning as you can select which foods you want to avoid. So it’s ideal when eliminating any foods from your diet. Any time you eliminate any food from your diet as a breast feeding mother or from a child’s diet, it’s best to meet with a nutritionist or physician to make sure the proper nutrients are still being consumed. Good luck! I hope you see results! I really enjoyed reading your post. My son (13 months old) has been struggling with eczema ever since we transitioned off an exclusive breastmilk diet at 7 months to a Holle Cows Milk formula and baby food/finger food (started with veggies then fruits). It’s been a struggle. As he is our first child we are new to the whole experience. At one point his skin got so bad it became blistered and we took him into the pediatric emergency room. Until then we had never heard of eczema or had a problem with it. It seemed to happen so suddenly and since never completely gone away. We have seen multiple doctors including a pediatric dermatologist and pediatric allergist. They gave us steroid creams and oils and although it is better than it was at that point, it still flares up and is there more than it’s not. I feel like we need to do an elimination diet –but I am feeling so OVERWHELMED. Where do I start? His allergy testing came back negative & his doctors say “eczema just happens” but my “Mama intuition” knows that he MUST have a sensitivity or allergy to a food or foods that is causing this, as the intensity of his eczema sometimes is better and other times is flared up & worse. As his allergy tests came back negative for the usual allergies (milk, peanuts, etc.) where do I start in regards to what all to eliminate? And more importantly, what DO you feed a one year old on an elimination diet? He is usually a great eater but lately has become more picky. Help! I need direction on where to start. Did you eliminate these foods within your entire household or just with the little one? When we do elimination diets, we sometimes do it as a family and sometimes not. But when I cook a meal, I make it so everyone can eat it safely – if they are on the diet or not. Making multiple meals just isn’t practical. I highly recommend that book I referenced by Janice. That’s what we used and it worked great. Or you can just eliminate the top most common allergens and sensitivities – dairy, gluten, soy, eggs being the worst offenders, so you could start with them. Just be sure to find a goot nutritionist or physician to follow you on this diet since you have a little one to worry about. You want to make sure your son is still getting any the nutrients and you as well, since you’ll be breastfeeding. Good luck and keep us posted on your progress! Hi, your site has been super helpful for me. My 2 yr old son has had eczema most his lofe and has progressively gotten worse as he has gotten older. My husband and i have finally decided to do an elimination diet to try and find the triggers. I have a question though, so when we re -introduce a food one day, then wait a few days if nothing happens is it safe to then keep giving that food in addition to the elimination foods or do we still keep that eliminated until the whole test is done weeks later? It would be nice to allow that if it didnt cause a reaction, to give him more options. Also how long after starting the elimination have people seen a change in skin? Its been almost a week and my sons skin seems slightly better but still not great and he is still scratching, so is he allergic to one of the few foods i am still giving him? Should it have cleared and stopped itching if he hadnt eaten any of his trigger foods for a week already? Thanks so much for any advice/guidance. Hi Tina – This is great news! We definitely recommend working with a dietitian, nutritionist or physician when undergoing an elimination diet, especially with small children. To answer your question, yes, your son seems ok skin wise after four days of a reintroduced food, you can keep it in their diet. Sometimes someone may react after a longer period of time, but it’s not very common. So he should be ok after the four day mark. With my son, once we got the right foods eliminated, we saw a chance overnight and skin was mostly clear in two days. But it’s more difficult for some people if the right food triggers aren’t identified. OR if the child has other factors involved like spring pollen and the elimination diet is done in the spring. In your case, spring pollen could actually be a trigger for your son actually given the time of the year. It’s one of my son’s worst triggers and has been since two years of age. I’d recommend going another week and then slowly reintroducing each food over a four day period and see how he does. Hopefully you’ll be able to see which food is triggering part of the reaction. For the other part, it could be another food, pollen, stress or something internal like an imbalanced liver or any number of things, which makes this all very difficult and why it’s so hard to heal eczema. Out of all the elimination diet books you’ve mentioned in this post, which one is the best for elimination diet guidance? I can only afford to get one right now. Thanks! Hi Aimee – If it’s for you, I like The Eczema Cure best. It gives you a basic idea of how to do an elimination diet. Then after you determine if any common foods are triggering you eczema, it takes you through a gut healing diet protocol which is really great. This can work well for kids too if you work with a doctor or nutritionist. For kids, I still love the one we did, the Food Allergies in Babies and Children book. Let me know how it goes!